The largest of the group study rooms. Includes 2 separate tables and a whiteboard. Whiteboard markers and eraser can be checked out at the Circulation Desk. 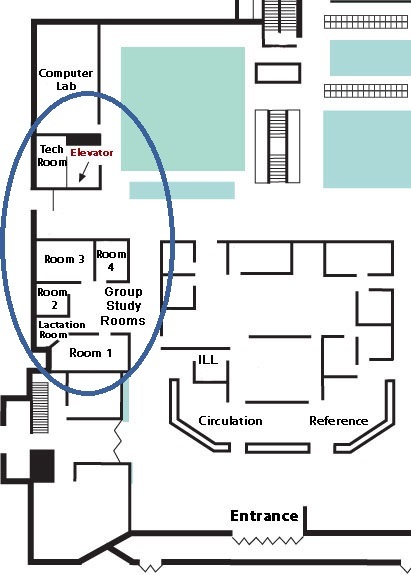 The smallest of the group study rooms. Includes 1 table and a whiteboard. Large group study room with 2 tables pushed together to form 1. Medium-sized room with 1 table and a whiteboard. Located near the computer lab in the back left corner of the library. Monitor to plug in computer to share screen or do teleconferencing. Remote, cords, and instructions available for checkout at the front desk.